We are based in Stanford-le-Hope in Essex and have many years experience of every aspect of Electrical Installation and maintenance. Providing commercial and domestic electrical services to all areas in Essex, including Stanford Le Hope.Essex Electrician based in Stanford-le-Hope We're registered with the NICEIC which goes someway to ensure you that our services will be only of the highest standard indeed we really care about our high standards, unlike some other companies we'll never send you an electrician that isn't fully trained and understands your problem, additionally we will not sub-contract our our work to someone who isn't employed directly by Reactive Electrical.It's our aim is to provide you with a friendly and professional service at an affordable price. We understand the importance of value, We will give full and clear quotes for our work before we begin to ensure you know what to expect and we charge to the half hour,meaning that if you only require our services for 30 minutes, then you'll only pay for 30 minutes, instead of a full hour That's the beauty of using local tradesmen like Essex's favourite electrician - Reactive Electrical.e. 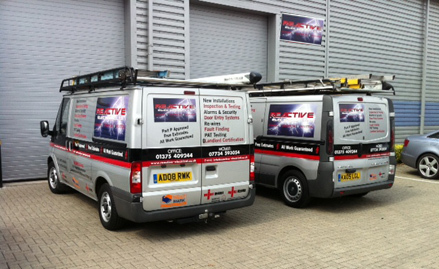 Reactive Electrical Limited, Essex's favourite Electrician Residential and Commercial.